By providing a highly desirable working environment in a creative and positive atmosphere, Caylor Construction has attracted and retained a highly skilled team experienced in all aspects of construction. President of Robert Caylor Construction Company since 2001, Rob has been in the commercial building industry since 1981. As a native Tucsonan he has always been an active member of the community. He has served as Director of Big Brothers/Big Sisters, been a member of BOMA and has served on the Board of Directors for Tucson Country Club. He was the president of the Arizona Builders Alliance. His professional experience started in 1981 as owner of Caylor Land and Development. He developed and built in excess of 250,000 square feet of industrial buildings, developed numerous office buildings and medical facilities. His projects for the City of Tucson Rio Nuevo District include the renovation of 100 N. Stone, the Historic Train Depot, the new Café Poca Cosa, Morrison Ekre & Bart at 118 E. Congress and numerous renovations at 2 East Congress. Rob is heavily involved in downtown redevelopment and his latest project at 1 W. Broadway is bringing together retail, commercial and residential space in a true mixed-use development. He has built or improved over $150 million of commercial projects in the last twelve years. Chuck has more than thirty years experience in the construction industry and more than twenty years with Caylor Construction. He served as the Volunteer Chairman of the Arizona Builders Alliance and volunteers countless hours to many ongoing ABA projects. He also serves on the Greens Committee for the Tucson City Parks & Recreation and is on the Board of Directors of the Cornerstone Foundation. He was the project manager for many free standing building projects including World Sports Grille, Alliance Bank at 200 S. Craycroft, Center for Neurosciences, the University of Arizona Art Studio and the Linear Accelerator Expansion at the Center for Neurosciences as well as being on the design/build team and project manager for the LEED Gold accredited Waste Management Transfer Facility. Chuck has developed a long-term relationship with property managers and clients throughout the area and continues to complete tenant improvements for their respective properties on an ongoing basis. 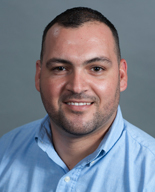 Pedro joined Caylor Construction in February of 2009. Coming from a strong drafting background, he brought his years of experience in the layout and design of major commercial and residential land projects. Pedro’s personal work experience within the construction industry is strong and diverse, from being out in the field as a laborer all the way through his current position as a Project Manager for Caylor Construction. His project responsibilities at Caylor have been equally diverse – ranging from tenant improvements to new construction – and includes work as Project Superintendent for the completion of the new 26,500 square-foot Pima Association of Governments offices at 1 East Broadway, which received a LEED Silver award. Coming from the framing and drywall background, David joined Caylor Construction in September 2006 as a Field Superintendent. While he has completed many tenant improvements in Tucson and Southern Arizona including Good Egg restaurants, Saguaro Surgical and Retina Associates, he has also been responsible for the construction of World Sports Grille, Casa de la Luz Hospice Administrative Offices, Vistoso Professional building with their tenant improvements, Garden Gate landscape design center, Caylor Office Plaza and numerous Good Egg projects. Bill’s background as a superintendent of sixteen years put him in good stead when he joined Caylor Construction in 2008. Bill also spent the prior twenty years as a trim carpenter. Since his arrival Bill has worked on many ground up projects including the Center for Neuroscience, Dental Offices for Andrew Rosen in Sierra Vista, the Linear Accelerator Expansion for the Center for Neuroscience, the Bridge Church on Tanque Verde Road, the remodeling for the Academy of Tucson Middle School, and the expansion and remodeling of Faith Community Church in northwest Tucson. 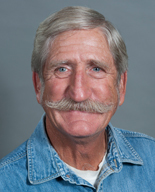 A long-time resident of Tucson, Edward has been active in residential and commercial construction since 1979. From his start in drywall and framing to working as a superintendent for several general contractors to building and managing his own subcontracting company, Edward has gained a wealth of construction experience that few individuals can match. As a superintendent for Caylor construction, Edward uses that considerable experience for the benefit of our clients, supervising the completion of tenant improvements and ground-up projects. Richard came to Caylor with an impressive work history and extensive experience in all aspects of the construction industry following 17 years with Sundt Construction and 10 years with The Larson Company. It has become obvious to everyone that a passion for safety is in his blood when you consider his 50 years with Search and Rescue, 35 years with the Ski Patrol, and 32 years with Search and Recovery Divers. Costa joined Caylor in November of 2016. He started his construction career in 1998 learning various skill sets while working with a drywall subcontractor. Before joining Caylor, Costa worked in a wide variety of capacities, gaining experience and learning to manage projects successfully through effective planning, coordination, and communication. After joining Caylor these skills fueled his rapid rise to Construction Superintendent. Costa has built a reputation for finishing projects on time, and for his complete focus on – and dedication to – communication, safety, and strong client relationships. For Caylor, Costa has managed projects at 1 South Church, and completed projects for WSP, Forensic Logic, and Caterpillar. Paula returned to an active role in this family owned company in 1995, working in the accounting division. She developed and expanded the basic procedures of accounting, purchasing, contract administration, communications and estimating. Paula continues to update and refine these procedures to ensure that Caylor Construction retains the integrity, honesty and community accountability that this family business was founded on. She currently serves as Controller, IT Manager, HR manager, Property Manager and handles bonding, procurement, contract review and administration and all interfaces with municipal and state taxing authorities. As a native Tucsonan, Paula has volunteered countless hours with various school and church organizations. Sherri joined Caylor in January of 2016 with experience in all aspects of accounting and an invaluable background in the construction industry in Tucson and throughout Southern Arizona. In fact, Sherri has interacted with many of our Caylor subcontractors over the past 8 years working with another Tucson builder. She has volunteered her time with the Girl Scouts and now is currently volunteering with the Boy Scouts of America. Bobbie came to Caylor in April of 2018 as our Project Administrator, bringing with her 16+ years of experience in the construction industry. As the Owner and Administrative Manager of a Women-Owned, Tucson General Contracting company she shepherded projects up to $8 million. Her unique blend of experience and knowledge, coupled with her remarkable enthusiasm pays huge dividends in the effective and efficient facilitating of Caylor's construction process. Bobbie has also worked as a Hospice Administrator, Registered Nurse and has provided respite care to families as a Hospice volunteer.